Hey dolls! There was a tie for this week’s nail art options between fan brush and ikat. I decided to go with fan brush since I thought it would be the easier route. Coral and mint have been one of my favorite color combinations lately, so I chose Sinful Colors Luminary and Mint Apple for this look. Luminary is an orange leaning coral that is filled with silver shimmer. Although sheer, Luminary has a decent formula and was opaque in three coats. For the fan brush accent, I started with a base of Orly Au Champagne, my all time favorite white polish. I then alternately applied Luminary and Mint Apple using the fan brush. You can see the tutorial I used here. I like the way that this turned out! All of the polishes had the same silver shimmer, which ended up looking really cool. As both Luminary and Mint Apple are relatively sheer, I want to use more pigmented polishes the next time I try this technique. I think that will make the lines look a little more defined. 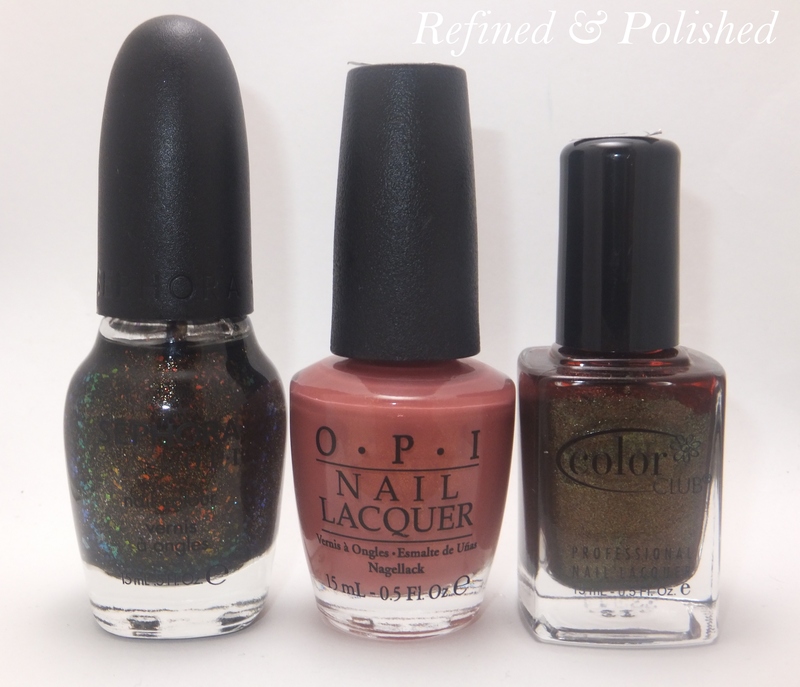 For this week’s poll, I have several polishes in the brown family for you. Please take a second to vote in the poll below.